Free for Kids! 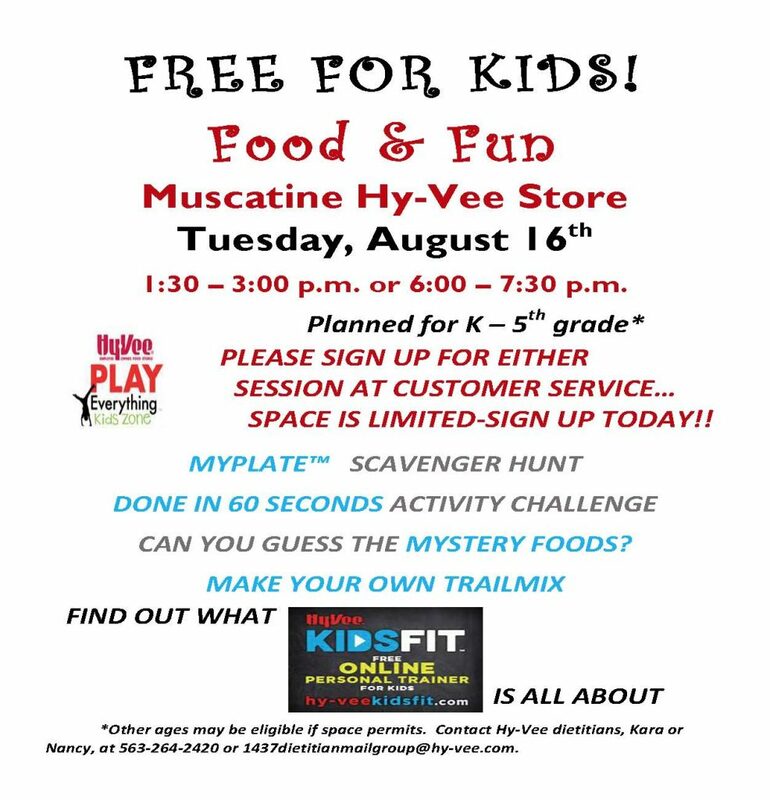 Food & Fun at your Muscatine Hy-Vee Store Tuesday, August 16th 1:30-3:00 p.m. or 6:00- 7:30 p.m. Planned for K-5th grade. MYPLATE SCAVENGER HUNT, DONE IN 60 SECONDS ACTIVITY CHALLENGE, CAN YOU GUESS THE MYSTERY FOODS?, AND MAKE YOUR OWN TRAILMIX. Please sign up for either session at customer service. Space is limited. Sign up today!